In addition to glossy and matte print options, we offer metallic photo prints that illuminate your favorite moments in a whole new way! They feature brighter, more brilliant colors, a 3-D like depth, and a lustrous, reflective flair that remain unsurpassed by other photo paper options. Maybe you have a new set of photos that you want to print for your family album. Or, there’s a blank spot on your wall that is in need of some character. Choose from a wide range of print sizes and order metallic paper prints for any occasion! Give your photos a metallic look! Experience photo prints by mail in a whole new light, or rather, a new type of artistry. 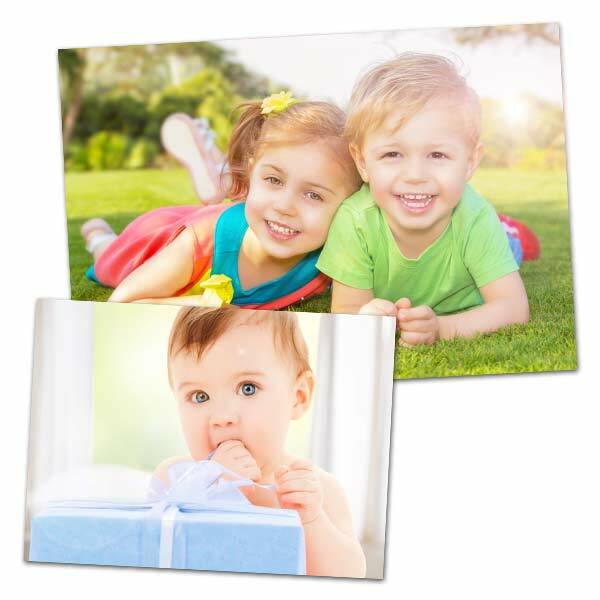 MailPix introduces eye-catching, 3-D effect Metallic Prints. Your photos will have a striking, shimmering, glossy finish. Protective laminate layers adds stunning color, depth and durability to our new and improved metallic prints. Create a fun and gorgeous album of your favorite memories as a photo gift for your best friends. For nonglossy photos, check out our Fine Art Prints!